Unlike other years, health wasn't a major focus at this year's WWDC Apple developer conference keynote — the talk didn't feature a single reference to HealthKit, CareKit, or ResearchKit, in fact. Still, there was some health-related content. Apple delivered on some new fitness tracking features on the Apple Watch, and unveiled a suite of tools aimed at improving users' mental health by helping them to balance their app use. “WatchOS keeps getting better and better and we’re excited for you to try all these great new features to keep you active and connected,” Apple CEO Tim Cook said during the keynote. Apple Vice President of Technology Kevin Lynch announced a slew of activity updates for the Apple Watch. "From our fitness lab we’ve studied over six terabytes of data, where 12,000 study participants logged over 90,000 hours of sessions," he said. "We burned 2.3 million calories doing this. We believe this is the largest biometric data collection of its kind. We take this information and we work to deliver it seamlessly with the user experience. So when you raise your wrist and look at your activity rate, the information’s not only accurate, it’s also meaningful to you." Perhaps the most exciting for fitness-minded Apple Watch users is the ability to automatically detect a workout based on heart rate, gyroscope, and other sensor readings. "Now there’s some times when you forget to start a workout on the Watch but you’ve started working out. To solve this now, we’re adding automatic workout detection," Lynch said. 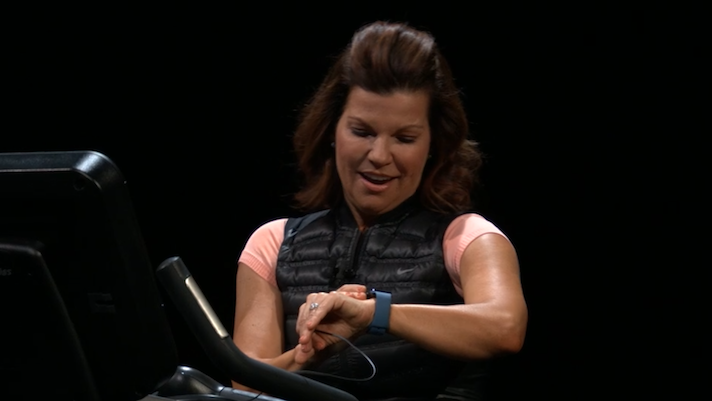 "Your Apple Watch will offer to start tracking workouts if it senses you’ve begun one. Even if you start some time after you begin working out, you’ll get retroactive credit for the workouts that you did. ... When you reduce the intensity and your heart rate decreases but you forget to end your workout, of course Watch will also detect that and suggest that you stop." In addition, Apple is expanding the Watch's Activity Sharing feature to allow users to start seven-day competitions with one another and see in real time how their competitor is stacking up, complete with an in-app badge for the winner. Lynch announced two new kinds of workout: yoga, which is mostly based on heart rate, and hiking, which uses heart rate, GPS, and elevation. In addition, runners will add two new metrics they can track: rolling mile pace and cadence. Runners can also set pace alerts, which will allow the watch to tell them when they've dropped below or above a chosen pace. Earlier in the presentation, Craig Federighi, Apple's SVP of software development, introduced a number of features that many would consider health-related; features which allow individuals to regulate time spent on particular apps and allow parents to set app limits for their children. Additionally, a new Do Not Disturb mode allows users to turn off notifications during the night, and not see them until they elect to in the morning. Other features announced in the keynote do have health potential, though it wasn't specifically mentioned onstage. For instance, a new augmented reality app called Measure allows users to accurately measure 3D objects using the phone's camera. This could have applications in teledermatology, where accurately tracking the size of moles and lesions has presented a challenge for some apps in the past.